Cumin has been used in Indian cooking for thousands of years, and in Latin America ever since it was introduced in the late 15th century. What makes this one seasoning nearly as universal as salt? Read about cumin--its uses, its history, its growing habit and ......... how to pronounce it. Cumin -- we can't even decide how to pronounce it, much less which cuisine it belongs to. Is it koo-min, kyoo-min, kum-min or come-in? Kuh-mihn? Personally, I say koo-min, but dictionary.com says it's kum-min or küh-min. The important thing is to be sure that we're all talking about the same plant, to wit, Cuminum cyminum. However you pronounce it, Cumin has been an important spice for thousands of years. There is evidence of Greeks writing the word komino or κύμινον approximately 3400 years ago. Cumin is discussed by Pliny, Hippocrates, and Dioscorides. Cumin is mentioned in both the Old and New Testaments. When Jesus throws the moneylenders out of the Temple, one translation reads, "You give a tenth of your spices—mint, dill and cumin. But you have neglected the more important matters of the law—justice, mercy and faithfulness." I agree, justice, mercy and faithfulness are more important than material goods, but imagine being able to pay your bills with mint, dill and Cumin. Cumin was beloved in India, where it remains an important ingredient in masalas. It was also imported to China where it is called ku-ming (枯茗). Indian and Iranian cooking still feature Cumin prominantly but Chinese, not so much. According to J. L. Hudson, Seedsman, Cumin was "common in Normandy in 716 CE, and in England in 1264." Certainly, Charlemagne insisted that Cumin be grown at his imperial palace gardens by the end of the 8th century, along with many other both familar and unfamiliar plants. Cumin seems to be native t o the area around the Southern Mediterranean: Greece, Egypt, Israel, Turkey, Morocco, etc. Cumin was traded and grown in other places beyond the Mediterranean basin; as an annual, its seeds need only have been saved and harvested to plant again the next season. Currently most Cumin is imported from India. Iranian Cumin is considered to be the finest, but the U.S. has a ban on importing Iranian goods. Caraway—a similar-looking spicy seed, also in the Apiaceae family—is often confused with Cumin. Caraway is a biennial, not an annual, and thus survives better in more northern areas of Europe without the gardener needing to save seeds. Cumin, however, is most often encountered in the kitchen in its ground incarnation, while caraway is used as a seed. Coriander and dill are also mentioned as substitutes for Cumin, but in my opinion, there is no substitute! The word Cumin comes (via Greek and Latin) from Hebrew and Sumerian virtually unchanged. 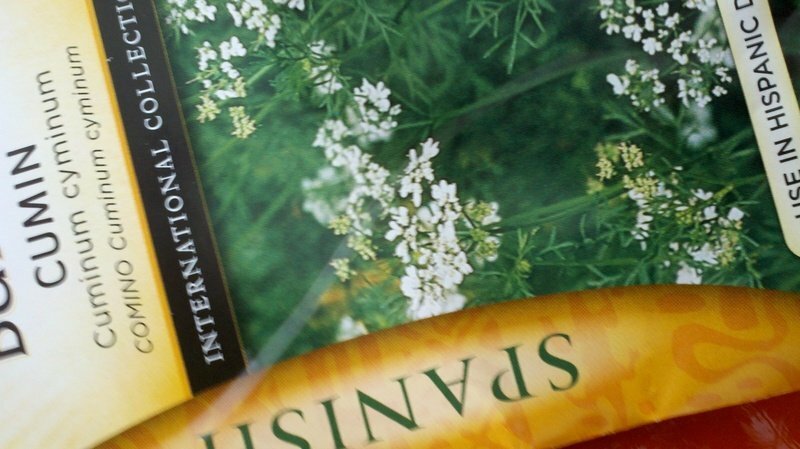 The names for Cumin and caraway are sometimes barely distinguishable in other languages; DG writer Adina Dosan tells me that in Romania, where she comes from, caraway is 'chimen' and Cumin is 'chimion'. Now, I don't speak Romanian, but it seems understandable that there would be a confusion between chimion and chimen. 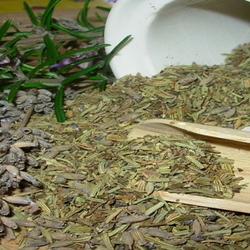 Germon Katzner explains that the same word is often used for the two spices, with caraway translated as "German (or northern or wild) Cumin" in southern areas (where Cumin would be a native) and Cumin having a name like "Turkish caraway" in northern Europe where Cumin would be imported. They are quite different to me, though, because while caraway plays an important cameo role in as a whole seed in rye bread and Irish soda bread , or sauerkraut and coleslaw, I notice the seed. Cumin, however, is suited to subtle blends where you may not have noticed it specifically but you surely would miss it if it weren't there, such as curries and chilis. Look on the ingredient list of your curry powder or chili seasoning. 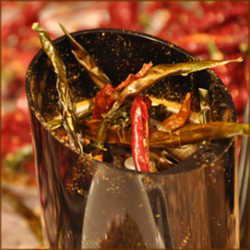 Chili has chili peppers or cayenne, of course, but second comes Cumin! (It was introduced by the Spanish conquistadors to the local Central Americans in the 15th century.) The famous Penzey's Spices store has nine varieties of curry, seven of which contain Cumin, and every single chili recipe I found anywhere calls for Cumin. Also easily confused with Cuminum cyminum are Bunium persicum, which is also an herb in the Apiaceae family, and Nigella sativa, which is totally unrelated. But both of them are called black cumin, and neither of them is Cumin, Cuminum cyminum. 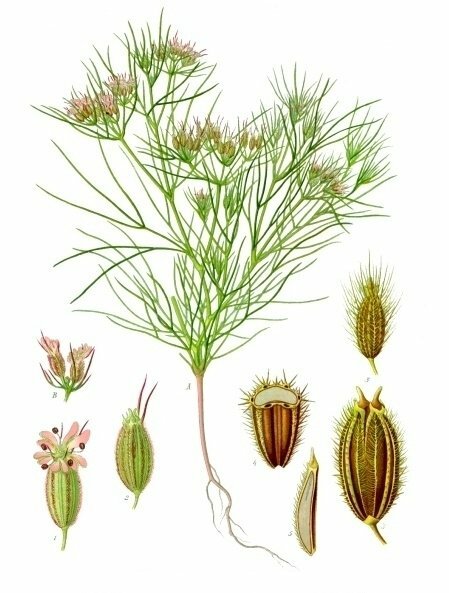 In some of the ancient sources, it isn't completely clear that Cuminum cyminum is, indeed, what's intended by "Cumin." (Cumin is so often confused that I was unable to find a picture of the plant that I was sure was Cuminum cyminum. Cumin grows in warm climates or in the summer. Maud Grieve, who published A Modern H erbal in England in 1931, said Cumin plants will "probably perfect their seeds if the season should be warm and favorable." As an Apiaceae, Cumin has a long taproot (think carrots) and should be sowed in where it is to grow or in transplantable containers (pots made of biodegradeable material: newspaper, peat, or similar) . It usually germinates in under 14 days but doesn't get taller than about 18 inches (50 cm). The seeds need to be in moist, warm, freely draining soil—but perhaps this could be in containers, as Ms. Grieve suggested in 1931. It takes four months from planting to harvest, so if you have a short summer, best to start the plants inside. After the seeds are mature, "thresh" them by rubbing them apart from the rest of the plant. Store tightly sealed, and grind as needed for best flavor. 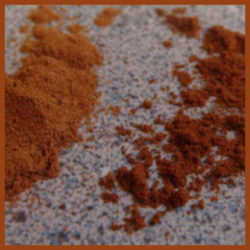 As with freshly ground coffee or freshly ground pepper, freshly ground Cumin has a deeper, richer more intense flavor. So if you like to grow spices, to eat what you grow and to taste a little history, why not try growing some Cumin during the coming summer? You can find seeds at J. L. Hudson, Seedsman, at Johnny's Selected Seeds, and at Territorial Seed Company, among others. Maybe the whole seed you buy at the grocery store is even viable! In fact, I may give that a try. In a medium skillet, heat roses, cinnamon, bay leaves, cumin seeds, coriander seeds, cardamom pods, peppercorns, cloves, and chile over medium-high heat, stirring often, until cumin is browned, 2 1/2 to 3 minutes. Transfer to a spice grinder or coffee mill along with nutmeg and mace and grind to a fine powder. Store in an airtight container for up to 4 months. This recipe from Martha Stewart is a true post-Columbian amalgam. Note that chile didn't enter European or Eastern cuisine until after 1493. Thumbnail close-up of cumin seeds courtesy Sanjay Acharya and the GNU Free Documentation License. Drawing at left is from Kohler, from Wikipedia. Get Started Cooking With Herbs Homemade Ground Pepper Spices Will the Real Cinnamon Please Stand Up?